But today efforts by small holder farmers from 6,000 households have brought about a turnaround, restoring 320 hectares of land through a combination of on-farm natural tree regeneration, water harvesting, moisture retention technologies, improved soil filtration, and enhanced soil humus. 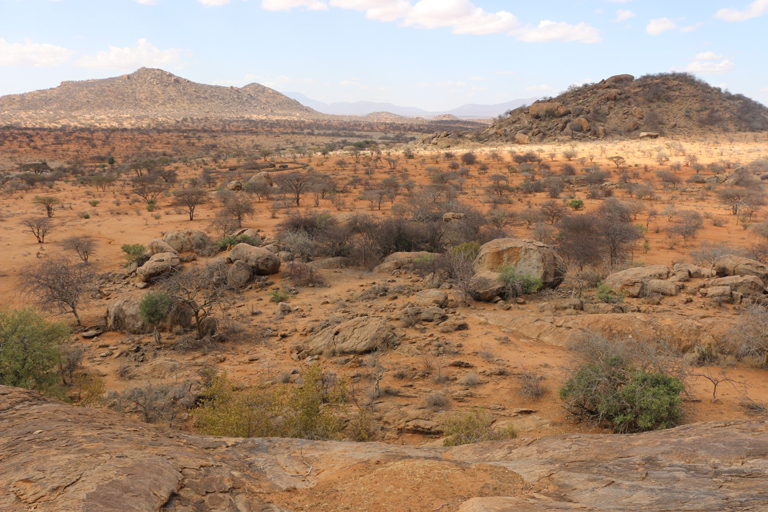 “Drylands are fragile ecosystems. You do not just go out and plant a tree without harvesting and retaining water. They will all die! Water is key to restoration,” said Dembele, who serves as executive secretary of Sahel Eco, which works with farmers to restore degraded landscapes in the Sahel. Farmers dig planting pits (called zai pits) with a diameter of 15-30 centimeter and a depth of 10-15 centimeters to harvest rainfall and water runoff. According to Dembele, this measure “helps more water infiltrate into the ground and hence enough to aid germination.” He adds that farmers also use organic manure from their livestock and practice mulching to reduce water evaporation. As a result, Sahel farmers can now harvest 1,500 kilograms of cereals from a single hectare of land. Due to water stress, Wahabou Benao, a small-scale farmer at Vrassan village in southern Burkina Faso, has had to use bottle drip irrigation to support his farming. Photo by Sophie Mbugua. Mali lies within a geographic formation called the Sahelian Acacia Savanna that stretches across the African continent from northern Senegal and Mauritania on the Atlantic coast to Sudan on the Red Sea. Apart from the wooded shrublands, the area is home to Lake Chad and the Niger River, which are critical ecosystems supporting agriculture, pastoralism, and wildlife. Typical woody species like the baobab, tamarind, and shea are intercropped with millet and sorghum and farmed for their fruits and vegetables. Winter thorn — a leguminous, nitrogen-fixing, acacia-like species — and sabara tree, which has medicinal value, together with African mesquite, are farmed for fodder. 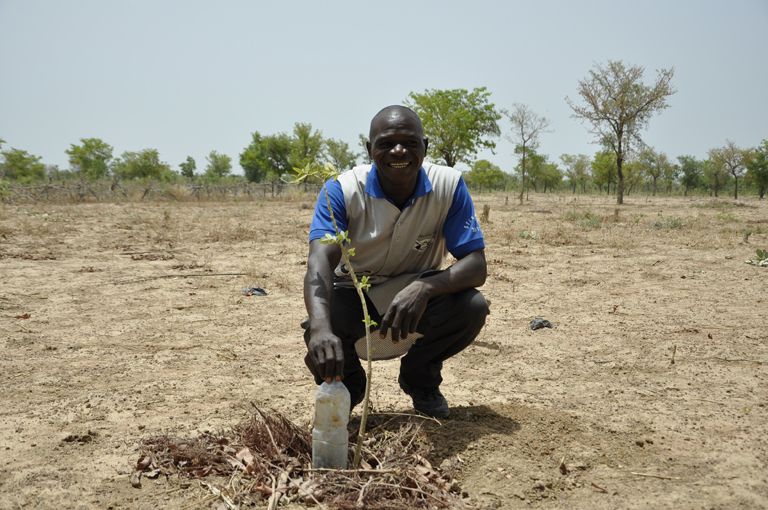 In the Sahel, these indigenous woody plants function as reserves, ensuring the continued existence of people and livestock throughout the long dry season, when stored crops and grazing pasture are lacking. Over 700 women in four regions of Mali — Bamako, Gao, Mopti, and Ségouorganized — have been organized into 33 groups by Sahel Eco for the processing and selling of tamarind juice, beauty products, cakes, and syrup processed from the tamarind and shea trees, chinese dates, and desert dates, among other species. Having established a Village Savings and Loan Association (VSLA), the women save 20 cents of every dollar they make selling their products and, since this money belongs to them all, any one in need of money — say for school fees or buying a cow — can come to the group and ask for a loan, which they return with interest within an agreed timeframe. To ensure availability of fruits around the homesteads, 100 trees are left to naturally regenerate on every hectare of land. Leaves that fall to the ground are left to decompose, adding humus to the soil. Home to an estimated 2 billion people and supporting 25 percent of the world’s endangered species, more than a quarter (about 25-35 percent) of global drylands are degraded, according to the International Union for Conservation of Nature (IUCN). In sub-Saharan Africa, 80 percent of charcoal and firewood used by about 2.4 million people is harvested in woodlands found in the dryland areas. Sola believes it’s about time researchers started packaging these fragile yet rich and highly adaptive ecosystems into investment opportunities. Tafera Mengitsu, an adviser to Ethiopia’s state minister of forests at the country’s Ministry of Environment, Forest, and Climate Change, told Mongabay that Ethiopia has successfully commercialized restoration of drylands degraded by over-harvesting of gums and resins, excessive wood harvesting for charcoal, overgrazing by livestock, agricultural expansion, recurrent fires, and settlements. “We must balance between the biodiversity conservation needs of the country and economic needs of the communities. Therefore, we are mixing between 30 percent indigenous species for biodiversity conservation, 35 percent fruit trees for nutritious benefits, and 35 percent exotic species to meet the economic demand,” Mengitsu explains. Nonetheless, over the last 15 years Ethiopia has rehabilitated 12 to 15 million hectares at $350-600 per hectare. Mengitsu says the goal is to restore an additional 20 million hectares of forests and degraded landscapes by 2030. In 2016, Ethiopia committed to restore 15 million hectares as its contribution to the African Forest Landscape Restoration Initiative (AFR100) — an effort led by African countries to restore 100 million hectares of land by 2030. Phosiso Sola of DryDev maintains that restoring the drylands would not only ensure resilience for the communities dependent on those ecosystems but would also be a win for the climate, though there is a lack of knowledge of the carbon density of the woodlands. A report published in Nature this past August indicates that carbon losses from degradation and deforestation in African savannas are between three and six times higher than previously thought. 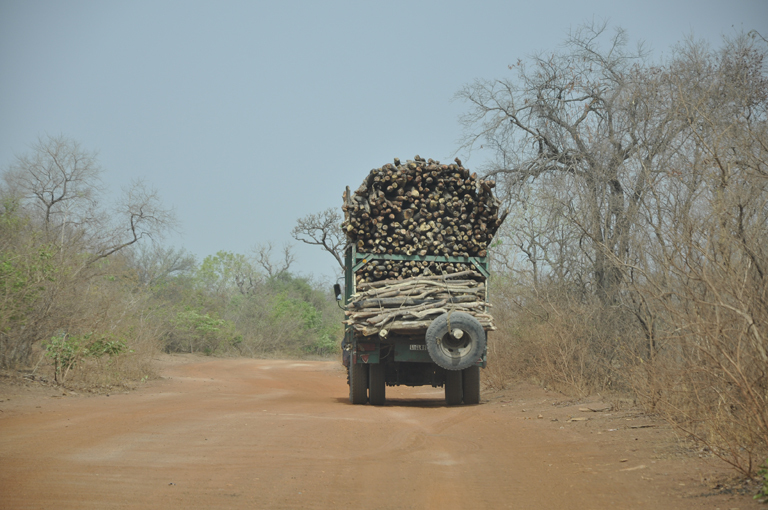 Data from all southern African countries with savanna woodlands – Mozambique, Malawi, Zimbabwe, Zambia, Tanzania, Angola, and the southern parts of the Democratic Republic of Congo – indicate high degradation rates along the transport corridors and areas close to developing urban towns as trees are harvested for charcoal and timber. The researchers also found that Tanzania’s Miombo woodland soils contain considerable amounts of organic matter, forming a large below-ground pool of carbon. The Miombo is seasonally dry, deciduous woodland and the largest vegetation formation in central, eastern, and southern Africa. The destruction of these woodlands therefore has dire implications for both the global carbon cycle and local livelihoods, as over 150 million people depend on the ecosystem services provided by the woodlands and forests. An IUCN report finds that dryland soils represent roughly one-third of global soil organic carbon and that the global stocks of soil biodiversity contribute strongly to global food production and climate change mitigation. Dembele believes that restoration requires investing time, energy, resources, and skills — from both the communities and the government. For the communities to invest their time and energy to restoration, there needs to be some assurance that they can benefit from the years of nurturing the natural environment. But lack of land tenure has been a major setback, he said. Trees in Africa’s drylands, especially acacias, are heavily exploited for wood and charcoal that is used in nearby towns. Photo by Sophie Mbugua. In Ethiopia, where Sola and DryDev have been implementing a restoration program, younger generation are finding it hard to fit into the traditional systems of livelihoods. Tim Christorpheren, chair of the Global Partnership on Forest and Landscape Restoration — a partnership network initiated in 2003 by the IUCN to unite governments, organizations, communities, and individuals working towards the restoration of degraded and deforested lands — insists that clear land tenure and land rights is the precondition for achieving landscape restoration in Africa. Christorpheren added that it’s essential for African governments to help better organize small holder farmers as cooperatives and associations. He says knowledge flows easily when farmers are organized, and their access to finance technologies and good quality seeds is improved. Additionally, they can negotiate better offtake agreements and systematically invest in value chains for forest-based commodities for community economic benefits, since land restoration must make economic sense. While Sahel Eco is pushing the Mali government to come up with a policy to address land tenure problems, Ethiopia’s government designed a Climate Resilient Green Economy Strategy that aims to achieve carbon-neutral status before 2025. Forestry and rehabilitation of degraded lands are two of the main pillars of Ethiopia’s strategy. As a result, communities involved in landscape restoration are awarded certificates of land ownership and given free seedlings. Mengitsu says this allows them to manage rehabilitation sites, harvest tree products (such as poles, which are exported to Sudan), and keep the benefits. Communities rehabilitating communally owned land share benefits after harvesting and selling the forest products with the government through clearly outlined benefit-sharing mechanisms. Sola says that there is growing evidence that dry forest ecosystem services help increase adaptive capacity of the poorest households and communities and insulate more carbon if left intact. Governments must be prepared to address land tenure and land rights, she says, since a high perception of land tenure among communities is likely to reduce land degradation. 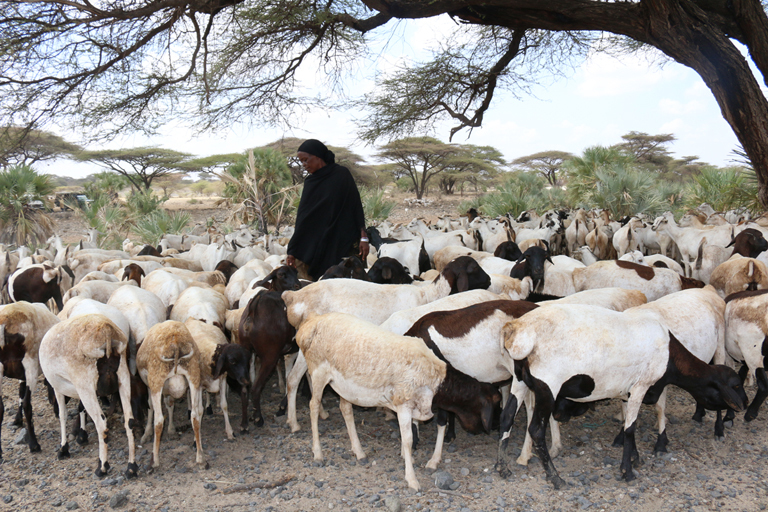 Through Village Saving & Loan Associations, women can take a loan and buy livestock or educate children. Photo by Sophie Mbugua.